The Department of Computer Science & Engineering of MyCEM started in the year 2015. 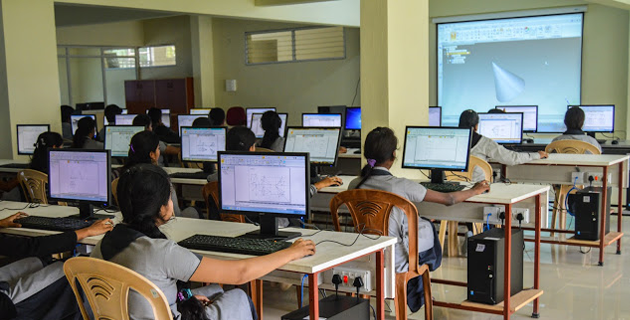 It provides the opportunity for the students to develop a firm foundation in mathematics, science, and design methodology applied to the disciplines of Computer Science & Engineering. Standard, constructive rules and procedures are followed in day-to-day operations. The department head is freely accessible to students and faculty members for consultation, sharing of new ideas, and general guidance. A high degree of team spirit is developed and sustained in the department. Computer Science is the study of the theoretical foundations of information and computation of practical techniques for their implementation, an application in computer systems. Computer science has many sub-fields; some, such as computer graphics, emphasize the computation of specific results, while others, such as computational complexity theory, study the properties of computational problems. Still others focus on the challenges in implementing computations. For example, programming language theory studies approaches to describing computations, while computer programming applies specific programming languages to solve specific computational problems. •To undertake collaborative projects which offer opportunities for long-term interaction with academia and industry. “Mrs. SWETHA D is working as Professor in the Dept. of Computer Science and Engineering MYCEM, Mysuru. 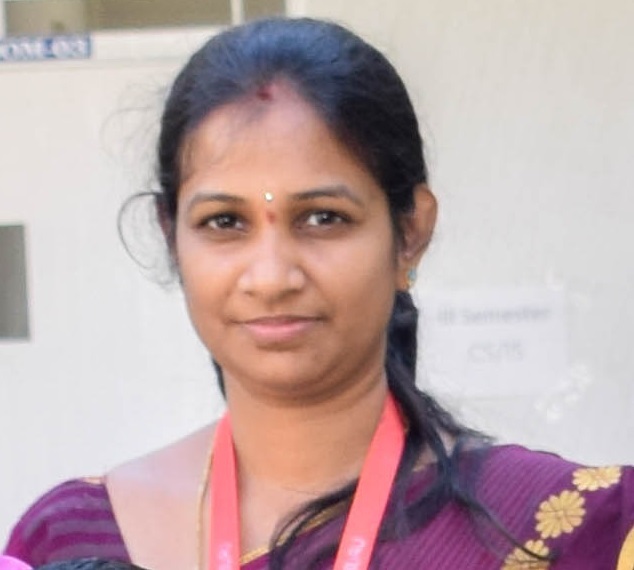 She completed her BE in Computer Science and Engineering from PES College of Engineering, Mandya and M.Tech in VTU-RC,Mysuru .Her Teaching and research interest are Compiler design, Cloud Computing ,Computer networks, computer architecture. Her technical presentation and publication details are as follows. •	Presented her Paper in International Conference on “Information & Communication Technologies (ICICT – 2014)" and it was published in IJCA Journal with ISBN No.978-81-926416-1-4..
•	Presented Paper in National Conference on “Emerging Technologies in Computer science" (NCETCS-2014), Bangalore . •	Published in International Journal of Engineering Research and Technology , ISSN No. 2278-0181,Volume 3, Issue 07, July – 2014..
•	Presented Paper in National exhibition and Symposium on IFAST-2015, Bhopal..
•	Attended Workshop of NBA in GSSSIETW, Mysuru. •	Presented Paper in International Conference on “Applied Science Engineering and Technology “organized by SSCE, Bangalore and IFERP. .
•	Published in International Journal of Research trends in engineering and research with impact factor 3.344 , 2015. .
Mr. HARSHA KUMAR H S is presently working as Professor in the Dept. of Information Science and Engineering. He obtained his bachelor’s degree in Electronics and communication Engineering (ECE) from Govt Engineering College, Kushalnagar and Master’s degree in Digital Electronics and communication system VTU-RC, Mysuru. His areas of interests are Analog Electronics, Digital Electronics, Basic Electronics, Signals & Systems, Basics of Electrical and Electronics, Digital Signal Process. He has also done projects on “Qpsk And Bpsk Based Design For Short Frequency Iot Enabled Communication”. He has published paper entitled “Qpsk And Bpsk Based Design For Short Frequency Iot Enabled Communication” has been published in Institute for Studies on Recent Advances in Science & Engineering (ISRASE) and IEAE Digital Libraries in the month of 30th April 2016 Edition Volume 3. held in BAHUBALI Engineering College, Shravanabelagola..He also attended the workshop on “ New model curriculum for first year BE- CBCS detailed syllabus(2018-19)” for first year course under Electronics engineering board held on 19th may 2018 at Sahyadri College of Engineering and Management, Mangaluru organized by VTU. Ms. Nidhishree G is working as a Professor in the Department of CSE, MYCEM, Mysore. She has got her bachelor’s degree from NIE Institute of Technology, Mysore and M.Tech in Computer Engineering from Sri Jayachamarajendra College of Engineering, Mysore. Her teaching and research interests include Database Management Systems, Object Oriented Modeling and Design, Computer Networks ,Image Processing, Pattern Recognition and Bigdata. She has worked as an intern in Avaya India Private Limited , Bangalore. She has published paper on “Efficient data accessibility in cloud with privacy and authenticity using key aggregate cryptosystem” published in International Journal for Technological Research in Engineering, Volume 3, Issue 5,January-2016. She has also published paper on “Design and Implementation of SNMP based Network Device Monitoring System.” published in International Journal for Emerging Research in Management and Technology, Volume 6, Issue 6, June-2017. Ms. RESHMA B is working as a Professor in the Department of CSE, MyCEM, Mysore. She has obtained her bachelor’s degree from VTU, Belgaum and M.Tech from AKTU, Lucknow. Her teaching and research interests include Cloud computing and Computer networks. She has presented a paper in the 27th National Conference “Digital Technology to Digital Economy” held at Tecnia Institute of Advanced Studies, New Delhi. She has participated in AICTE recognized ICT based Short Term Courses on “Cloud Computing” and “Scilab Programming” organized by NITTTR Chandigarh in collaboration with the ministry of HRD at JSSATE, Noida. She has attended an Expert talk on Cyber Crimes by Dr. Deepak Raj Rao, Computer Forensics Expert, New Delhi. She Published 5 papers. 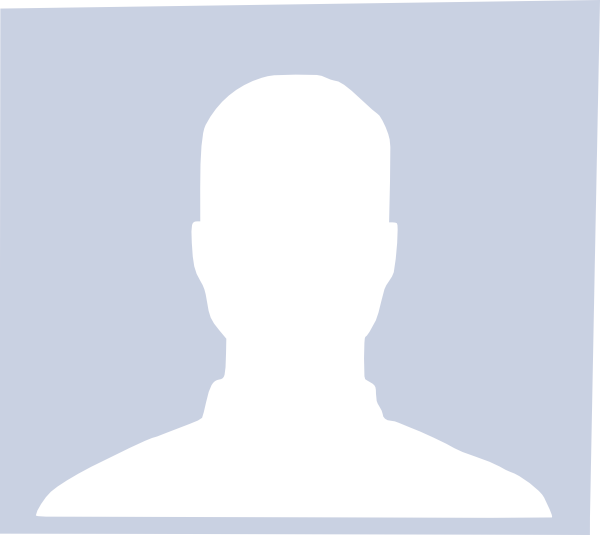 Mr. Madesha M is working as Asst. Professor in Dept. Of Computer Science and Engineering.He completed his BE in Sri Siddhartha Institute of Technology at tumkur and M.Tech in JNNCE, Shimoga. His are of specialization and interest are computer networks, image processing, information & network security , He published more than 5 international journals ,he attended 6 workshops in various topics.